Fedoras, trilbies, homburgs, and more. 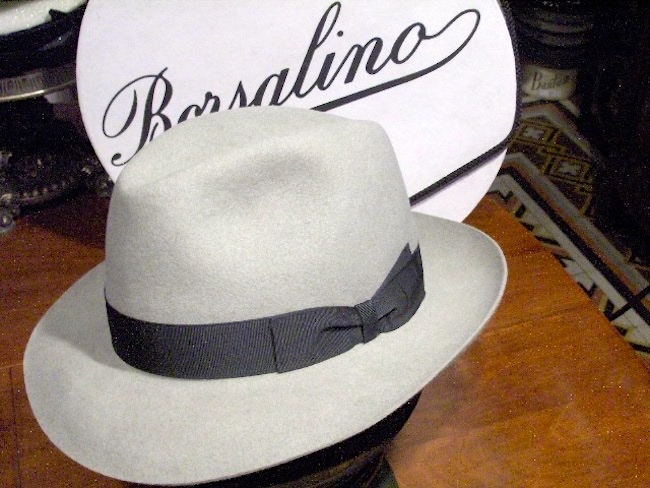 Borsalino is a hat company known particularly for its fedoras. Established in 1857, Borsalino produces felt from Belgian rabbit fur at its factory in Alessandria, Italy. Origin: Apparently a borrowing from French. Etymon: French Fédora. Etymology: Apparently < Fédora, the title of a drama (1882) by Victorien Sardou (1831–1908) and the name of its heroine, played in early productions by the French actress Sarah Bernhardt (1844–1923), although the precise connection is unclear. The soft felt fedora was originally marketed as a men’s hat, and no contemporary evidence has been located which connects this style with the male members of the play’s cast. The name of the play and its heroine appear to have been adopted slightly earlier for various items of womenswear, including hats, and it is possible that the name fedora was applied to the men’s hat because of its general fashionable associations. orig. U.S. A low, soft, felt hat with a curled brim and the crown creased lengthways. 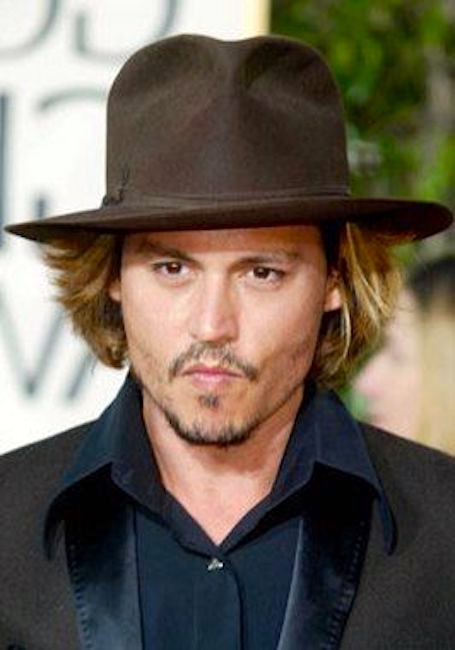 A trilby is a narrow-brimmed type of hat. 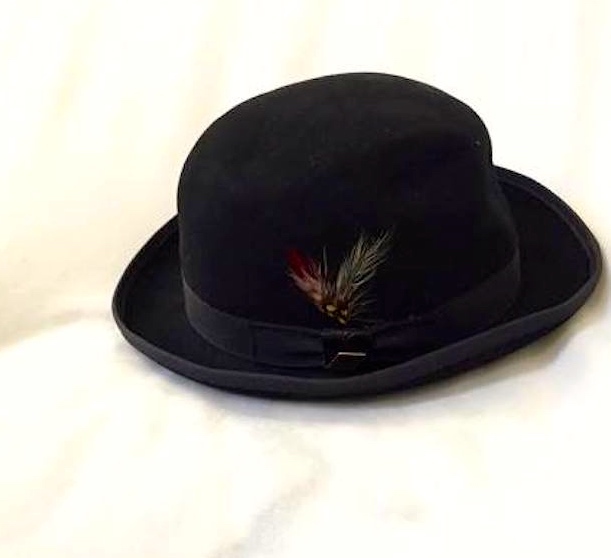 The trilby was once viewed as the rich man’s favoured hat; it is sometimes called the “brown trilby” in Britain and was frequently seen at the horse races. 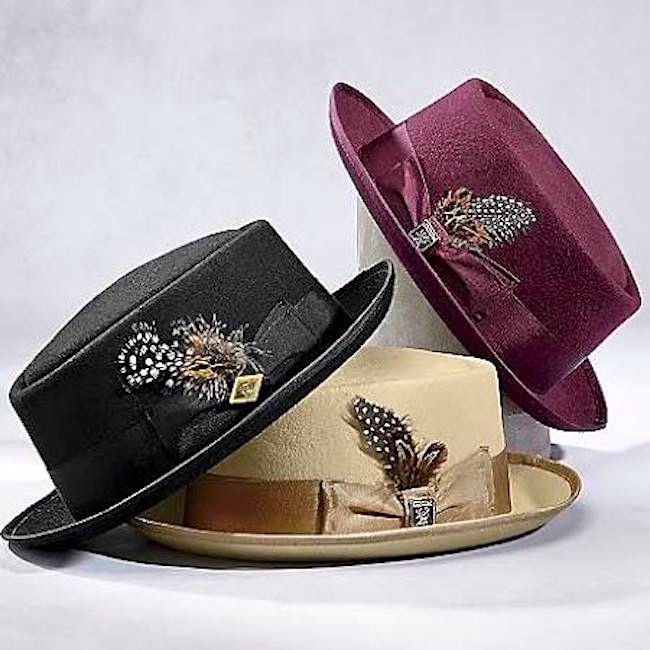 The London hat company Lock and Co. describes the trilby as having a “shorter brim which is angled down at the front and slightly turned up at the back” versus the fedora’s “wider brim which is more level”. 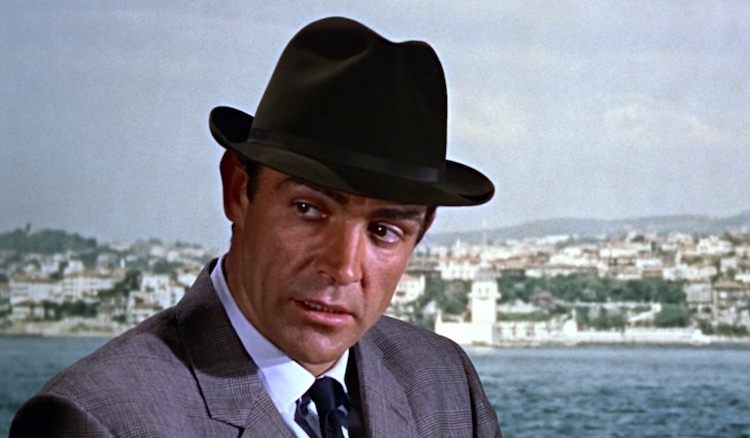 The trilby also has a slightly shorter crown than a typical fedora design. The hat’s name derives from the stage adaptation of George du Maurier’s 1894 novel Trilby. A hat of this style was worn in the first London production of the play, and promptly came to be called “a Trilby hat”. Bowler: The bowler hat, also known as a bob hat, bombín or derby (USA), is a hard felt hat with a rounded crown, created originally during 1849. 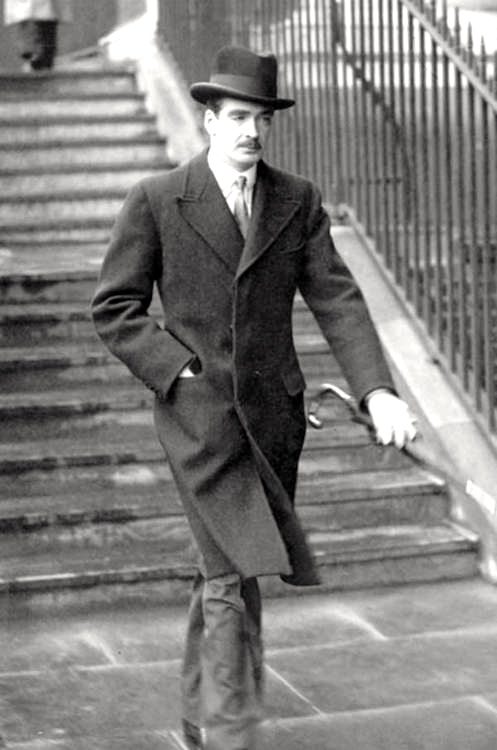 The bowler, a protective and durable hat style, was popular with the British, Irish, and American working classes during the remaining 19th century, and later with the middle and upper classes in the United Kingdom, Ireland, and the eastern United States. Pork pie: A pork pie hat is one of three or four different styles of hat that have been popular in one context or another since the mid-19th century, all of which bear superficial resemblance to a culinary pork pie dish. The first hat to be called a pork pie was a hat worn primarily by American and English women beginning around 1830 and lasting through the American Civil War. 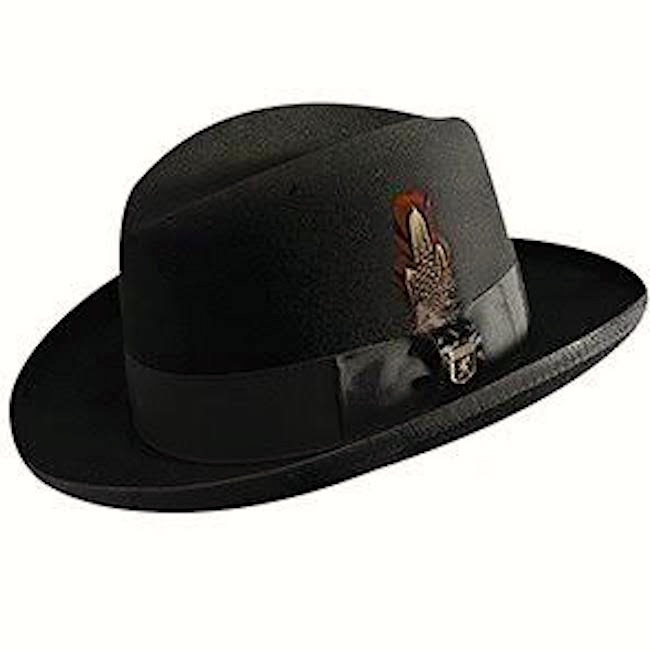 Homburg: A homburg is a formal felt hat characterized by a single dent running down the center of the crown (called a “gutter crown”), a stiff brim shaped in a “kettle curl” and a bound edge trim. This entry was posted on July 5, 2017 at 6:15 am and is filed under Clothing, Linguistics in the comics, Names. You can follow any responses to this entry through the RSS 2.0 feed. You can leave a response, or trackback from your own site.